I’ve read probably every post ever written on picky eaters…and tried almost everything. We’ve picked a new color food each week, we’ve cooked together, and we’ve even let our children choose their meals. And through this one new food journey each time something different is on our girl’s plates…cue the water works. Sometimes don’t you feel like giving birth was easier than feeding your kids? I mean if Jessica Seinfeld’s deceptions went global as a bestseller – surely there’s got to be something to this right? This month was all about that, deception. I mean I’ve always added a little avocado to their breakfast smoothies but why not take it one step further? Let’s hide the good stuff in everything! I tried spinach one morning, kale another, and even started new juices for breakfast. And you know what? They drank them. Ne’er a peep to be heard or a raised eyebrow at the different consistency. 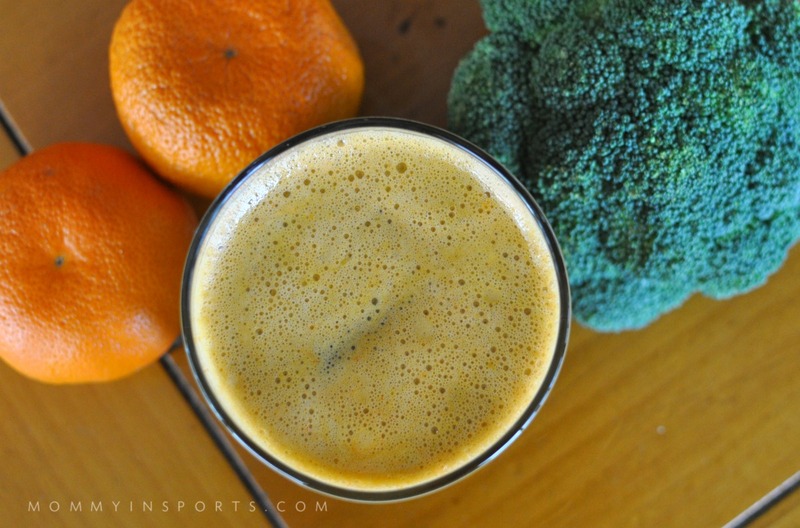 Orange Broccoli Juice they semi-drank! 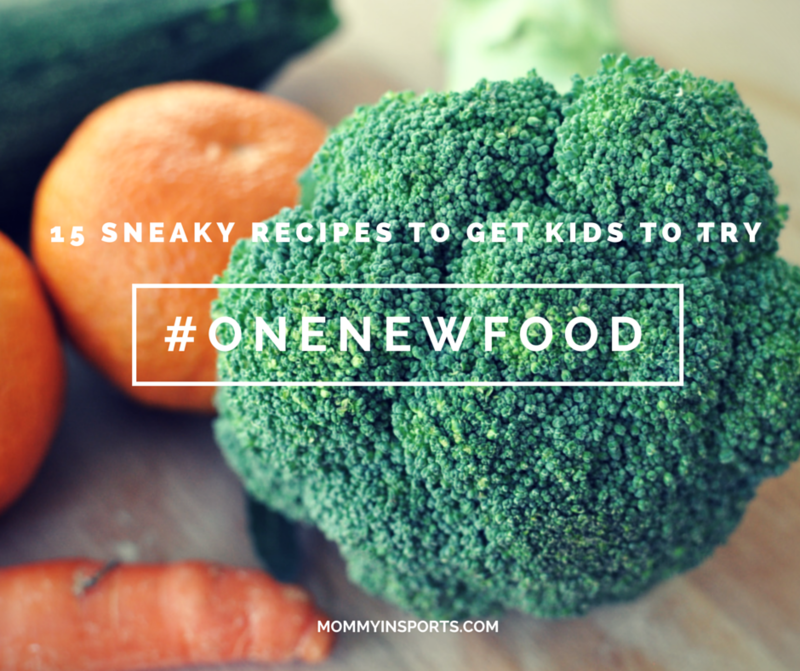 Since these covert operations have helped a bit, I thought I’d share a few more great recipes to help get your kids eating a bit healthier. 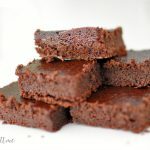 I mean you can even hide black beans in brownies…and they’re good! Also check out these recipes from Oh Honestly – this month she tackled one of our new favs spaghetti squash! And we have two awesome new bloggers who are daring enough to try one new food, so stop by and see what Gym Craft Laundry and The Mad Mommy were cooking up this month! And if these don’t work we have another idea! Wanna make eating one new food fun?! How about this game The Rounded Plate? 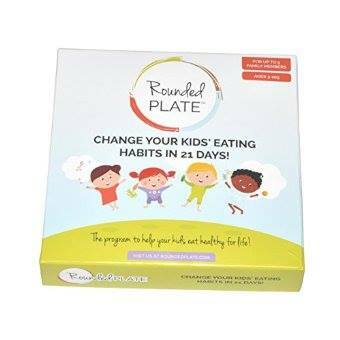 The Rounded Plate is a 21-day program that uses incentives when kids and parents meet their daily and weekly goals of healthy foods. Meaningful incentives can be family activities like a trip to the park or a small prize for saving bonus stickers. The entire family’s progress is visibly tracked on a common Rounded Plate scoreboard. Bottom line your kids are competing…and who doesn’t want to beat their brother or sister? You can win this game by entering below! Don’t give up…keep trying those one new foods! Please tag us on social using #ONENEWFOOD! I love seeing success stories and learning from other parents so please let me know when you try your food. Connect with me on Facebook, Twitter, or Instagram! what will you try with your kids? please click below! I love this! I need to hide more veggies in foods. Definitely going to check out some of those recipes! I own that Jessica Seinfeld book. I really should use it more! My kids totally reject my juice attempts. My daughter told me that she would like my juice better if it didn’t taste like soap lol! I know you may not want to hear this (I know I didn’t, when my kids were young)…but it gets easier, I promise. Three out of four of my kids refused to eat veggies (unless raw and dipped in ranch) when they were younger. Number four is crunchy, he loves them all. But as their taste buds mature, mine were open to experimenting and often pleasantly surprised when they discover they like Brussel sprouts! Even my son with autism is getting adventurous, as long as the ketchup bottle is near by. BTW, I bought Jessica Seinfeld’s book back in the day, but it didn’t work for me. I swear, my kids (back then) could have worked for the CIA. No it’s ok I like hearing this! I know it will get easier but in the interim I still need them eating something semi healthy. Good to know though! I’ve been hiding veggies in my foods for years now. Not just for my son, but also my husband. As you know…it totally works. Well, not every time, but often it does. I do use Jessica Seinfeld’s books as inspiration and then play around with other ingredients. Thanks for including my green smoothie. We LOVE it in our house. Happy Healthy Weekend. BTW – I love this game, too. I’m going to check it out. I’m all about finding fun ways to be more active, healthy and live clean. My kids are starting to get picky and it is so frustrating! I don’t ever know what I want to eat, much less figuring out what to feed them..grrr! I have been able to sneak some stuff into their food, but I should definitely try to do ti more often and with a bigger variety of stuff!! Thanks for the ideas!!! We were lucky enough to not have to hide much from our oldest, but the 2-year-old is another story. She resists vegetables so much. I’ll definitely check out some of these recipes for her. Thanks for sharing! I am so guilty of sneaking veggies into other things, LOL! I am always in need of more options! My kids like kale and apple juice and also pesto a lot. So I’m happy about that. Those chicken nuggets look really good. I never thought about dipping chicken in veggie puree. I’m going to have to start doing this. My 9 year old is making me mental. You’ve rounded up some of my favorite food blogs. I’ve definitely heard people who hate the deception aspect of it, because they think that just raising babies and toddlers with fruits and veggies will make them want it. Umm… they don’t know my kids! And kids go out in the world and see kid menus and kid parties. It just doesn’t work. I’ll deceive them if it helps. I made my son eat carrots this week. I should get a prize! One bite and lots of gagging. Toss it with pasta and my boys (including my husband!) will eat it. I grate veggies into meatballs and wilt spinach into tomato sauce, if they can’t distinctly taste it, they usually don’t notice. I know broccoli is a tough one, my kids like it but my husband is still not a fan. Roasting helps, as does tossing it with lemon and olive oil! I do the same with asparagus (another hard sell!) and zucchini. Love this! I need to try it with my daughter! She is such a picky eater=( Pinning it! I”m excited for each of these! YUM!!! 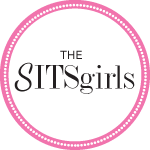 Found this on the Sits Girls Link Party!!! Pinned! Great idea. I make my boys try at least one veggie or new food on their plate. Surprisingly, they like green beans. It’s a work in progress. 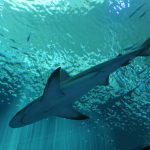 Thanks for sharing these tips on Small Victories Sunday link up. Great ideas! My kids will tell me they don’t like something even before they try it sometimes. I might have to try some of these “tricks”! My oldest seems to always know when I have snuck veggies in something! She has a sixth sense about it.